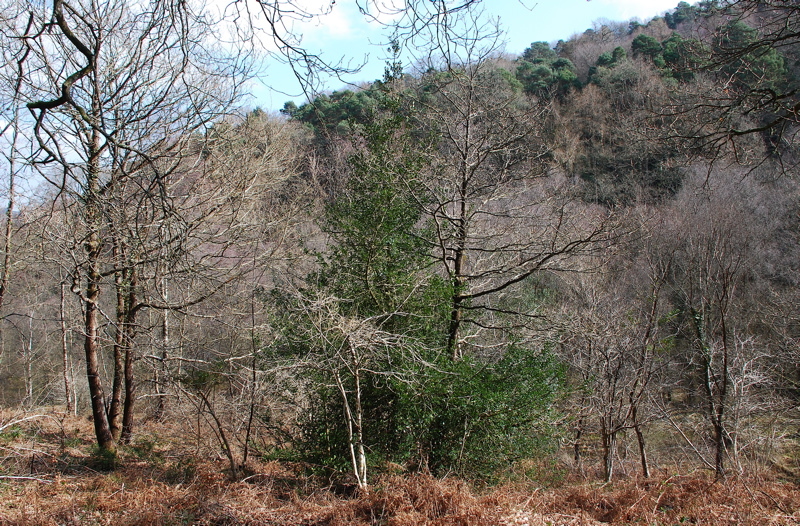 East Dartmoor Woods and Heaths National Nature Reserve consists of three adjacent sites: Yarner Wood, Trendlebere Down and the Bovey Valley Woodlands. Western oak woodlands, Yarner Wood, 13 March 2010. 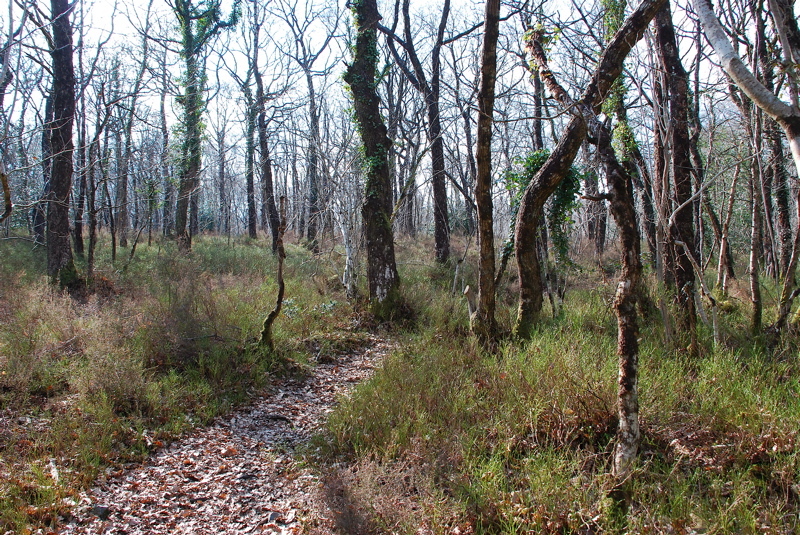 Looking south-east towards the Yarner stream in Yarner Wood, close to the observation hide, 13 March 2010.